Are you hosting an event and require suitable toilet facilities to help things run smoothly? Then contact South West Loos. Whatever the reason, wherever the requirement, South West Loos are here for your convenience. For over 12 years we have been supplying event toilets in the Cornwall and Devon area. We are an independent, family run business whose priority is to put the customer’s needs first. We have an excellent reputation for service and always aim to go that extra mile to ensure all of our facilities are a pleasure to use. Whether you are hosting a birthday party and require a single portable toilet hire to stop your guests having to queue, or you are requiring full hot water washing facilities for a building site or large event, we are the company for you! 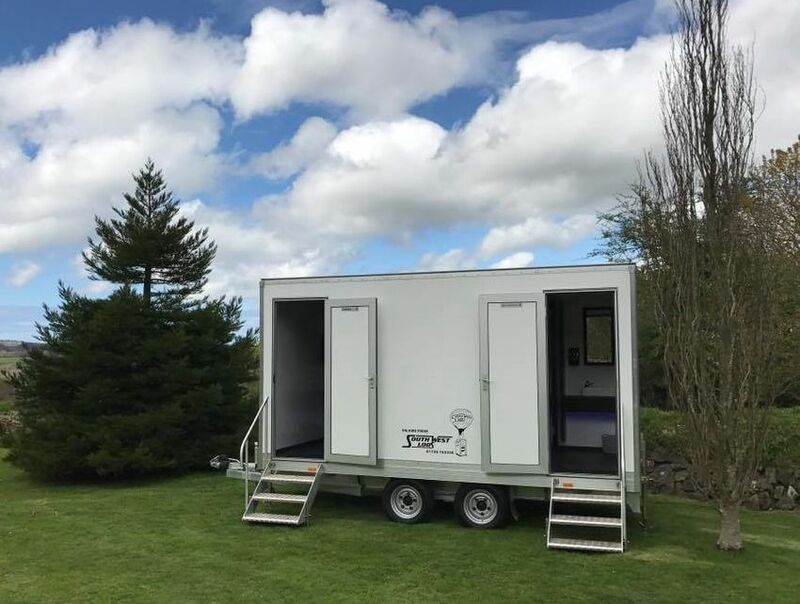 We have a large range of luxury toilet trailers for hire, they really are special and make the finishing touches for weddings, corporate events and that very important party you have that just has to run perfectly. For more information on the facilities we are able to provide, please click on the relevant links on this site and find out more information for each kind of units available. We are often able to take calls outside of office hours, so should you need to contact us, you can have peace of mind during your important event. You can contact us for free on 01736 763338 or by filling in the form on our Contact Us page and one of our staff will respond to your enquiry.